It has been a tough few days. The killing of Harambe has left me a bit rattled. Yes, I am one of the judgmental people blaming the parents of the little boy who didn’t just “fall” into the enclosure, but chose to find his way in. If it was that easy or could happen that fast, wouldn’t more children have done it? I find it easier to place blame on the parents because neither appear sorry for what happened to Harambe. Not one of them has expressed shame or sadness, let alone accountability for the death of Harambe. I find that unbelievably selfish. From what I have heard, this is not the first time their parenting skills have been questioned. In fact, I heard on the news last night that they are being investigated by the Cincinnati police now. Good. Harambe’s murder didn’t just spring from poor parenting, his murder brings to light the issue of zoos, altogether. Many, or should I say most, who walk in my circle of animal welfare have come to recognize zoos as cruel places of immoral captivity. Taking any wild animal and placing it in a concrete cage is less than freeing and certainly, when truly thought through, should be less than entertaining for compassionate people to observe. Watching an African lion pace 100 strides back and forth is not fun nor does it bring a smile to my face. Harambe was a critically endangered species of gorilla, a western lowland. He was brought in specifically to mate with the zoo’s females and help populate the species again. It is for this reason, that there are proponents of the zoo. Some argue, that while zoos are holding animals captive, they are doing so with the intent to save the many endangered species on our planet. I have spent much of the last few days contemplating that concept. Here are my questions… 1) If the true intent of zoos is conservation, why don’t they operate like a sanctuary? I have been fortunate enough to work in a sanctuary. Sanctuaries do not put their animals in constant view of people. Animals are given very large spaces away from people, so they can live a life free of stress. Sanctuaries, whenever possible, allow animals to return to the wild after they have healed. 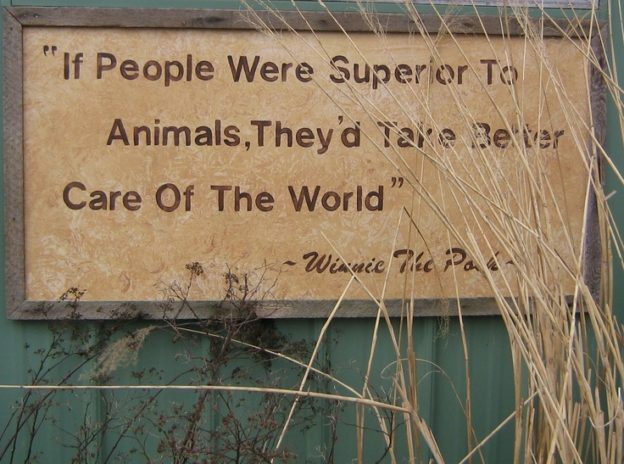 I worked at a place called Safe Haven where we treated cougars, fox, bobcat, possum, etc… Some of the cougars were from zoos and were not able to return to the wild, but any other animal who came in was given minimal human interaction, so it’s chances for survival were great. If Harambe, whose sperm was saved, is able to impregnate a few females who are then able to carry babies to term and deliver health baby gorillas, will those gorillas return to the wild or will they be locked up just like Harambe? 2) I find it painfully interesting that we as a nation are willing to invest millions of dollars in the captivity of animals for the so-called sake of preserving the species, but cannot put the same type of passion, effort and financial backing behind stopping the myriad of reasons species are endangered in the first place. Poaching, lack of environmental control, corporate company destruction of varying species land, etc… these are the very reasons these animals have come to be endangered. Why not spend the money to PREVENT the endangerment and allow the animals to thrive in their natural habitat and not a concrete cage? 3) Lastly, what are we preserving these endangered species for? If we do not return them to the wild aren’t we just creating a larger collection of shoes to display? Yes, I value the miraculous amount of different species of plants and animals on this planet. It is heartbreaking to realize that so many have become extinct. However, part of extinction is a result of evolution. If we are simply saving species so that we can place them in a glass box and selfishly observe them, I don’t believe we are actually preserving life for the right reasons. I am fairly confident that a life in a concrete cage, is not the life Harambe was seeking nor his creator. We literally pluck wild animals from their environment and place them in concrete cages for our entertainment while justifying it by saying we are saving a species. We really are that selfish. Harambe died because of human ignorance and human greed. Those are not the traits I find pleasing in a human race and neither should you. We can and should do better. We are supposed to be the most intelligent species of all with the intrinsic capability of compassion – it is time we show the animals of our planet that we are. It is time we stop treating this planet like it was created solely for us. It is time we finally act like the superior species and treat animals as they were meant to be treated with kindness and compassion and respect. This entry was posted in Uncategorized and tagged animal welfare, endangered species, harambe, zoos on June 1, 2016 by sheltertails5839. There’s celebration in Wisconsin this week. A bill passed to shorten the stray hold in shelters. Oh, you probably can’t hear the party, because not everyone is celebrating. Lost Dogs Wisconsin along with their umbrella organization, Lost Dogs America, tried very hard to stop the bill. “Why?” you may ask… Well, Lost Dogs America, an ALL volunteer organization, helped reunite over 30,000 families and dogs in 2015. It seems they know a thing or two about the bonds between pets and their owners. They are also painfully well aware that most of the shelter systems in WI are broken. Return to Owner (RTO) rates are tragic with many of the big shelters not making RTO a priority and rarely attempting to find owners or list found dogs on their websites. LDA pleaded with WI legislation to fix the shelter systems BEFORE shortening the stray hold, but, sadly, they went ahead and passed the bill with no necessary improvements for shelters. Basically, in the vast state of WI, you now have only 4 days, that is 96 hours, to find your lost dog at a shelter before they can adopt it out, transfer it to a rescue in or out of state, or kill it. There was some stipulation for a longer hold UNLESS the dog was ill, or its behavior was a danger to the public. The reality is those two exceptions are subject to so much interpretation that a shelter can act however it sees fit. One bad cough or loud growl and your dog could be heading over Rainbow Bridge long before you could ever locate him. Yes, there are statistics that back-up some of the advantages of shorten stray holds. Stats that show more dogs move through the shelter system quicker – HOPEFULLY resulting in more live release rates, but not always. I don’t think anyone really challenged those stats, but, instead, argued that in the world of rescue and animal welfare, we should be trying to preserve the human-animal bond, not destroy it. Return to Owner is an area of animal welfare few people talk about. You certainly don’t hear the big guys talk about it much (Best Friends, HSUS – both groups who lobbied in favor of the bill). Yet, RTO seems like an area shelters and rescues should dedicate resources to. Why are they so willing to spend time and money on adoptions and transfers (even euthanasia) when there is a really good chance the dog sitting in the kennel already has a home? I remember working at my county animal control… we had a binder for lost dog reports and when dogs would come in, we would check the binder. We would also check it before placing the dog on the adoption side or euthanizing him. However, we didn’t really do much else. There the dog sits for a week and we just “hope” someone calls or comes in for him. Not everyone who loses a dog knows where to look or even what to do. LDA is trying hard to change that by educating those who contact them on the many avenues there are to find your dog, from fliers to website postings, to calling every vet, shelter and animal control in a 100 mile radius. The truth is unless you are active in the rescue world, not many people know all the shelters and vet clinics in the area. Rescue people take that kind of knowledge for granted. LDA partners with Helping Lost Pets. Helping Lost Pets has an INTERNATIONAL, FREE database that allows individuals, shelters, vet clinics, etc. to post lost and found dogs (as well as pinpoint sightings) on a map based system. It is truly brilliant. I did mention is was FREE, right? Yet, there are shelters across the country NOT using it? Shelters right in WI who choose to do nothing instead. How does that make sense? 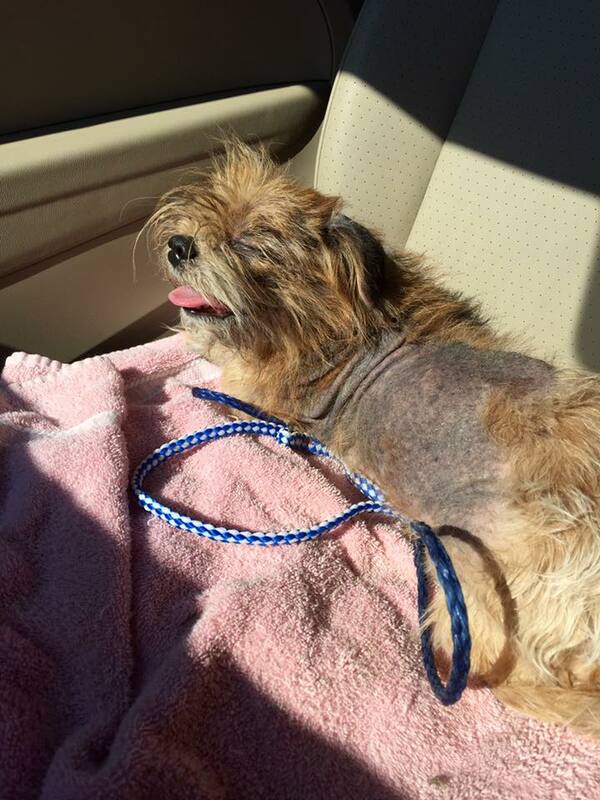 An animal shelter should be using all possible resources to get that dog home. RTO is really the low-hanging fruit when it comes the array of possibilities of getting a dog out of the shelter. 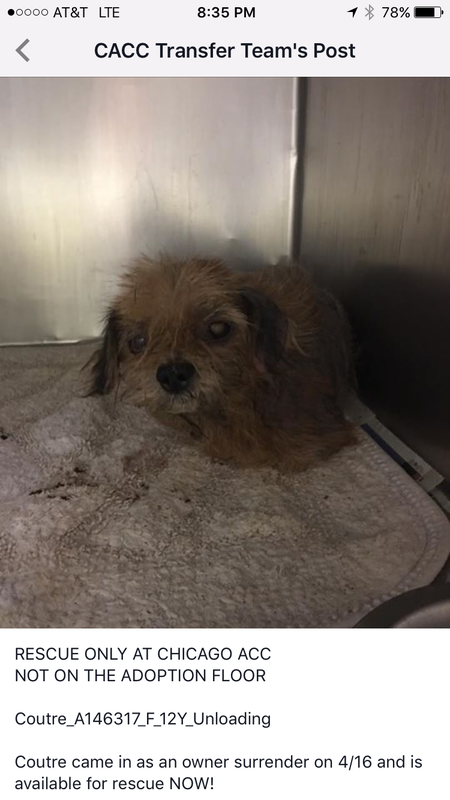 To adopt a dog out, he has to stay for the stray hold period, might need medical care, he has to pass some type of temperament test or behavior assessment, he needs to have all his vaccines and be neutered, he has to sit on the adoption side waiting for the right person to want him, maybe he goes to adoption events. Once someone adopts him, there is a fairly decent chance, he will be returned and the entire cycle starts again. To transfer a dog, the shelter has to have partnerships with rescues in the area that they manage, the dog has to stay for the stray hold period, be medically treated, the shelter has to reach out to rescues hoping someone will take him, they have to arrange transfer dates and at times vaccinate and neuter the dog before the rescue will take him. To euthanize a dog, he has to stay for the stray hold, he has to be behaviorally assessed, he might have to be medically treated and, then, the decision is made to be euthanized. For most shelter workers, that is the hardest and saddest part of the job – placing unbelievable amounts of stress and depression on shelter workers, causing them to quit the job sooner. To return a dog to owner, the shelter simply has to post the lost dog in a database. 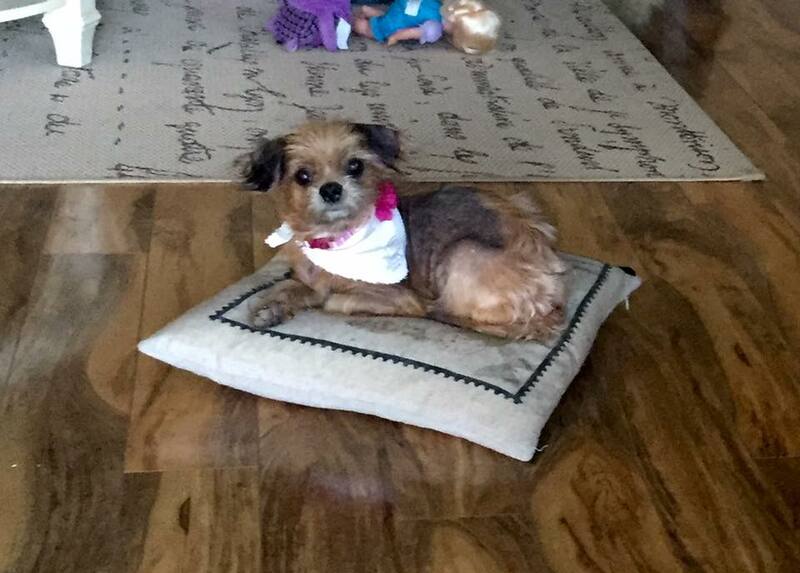 When the owner comes to get the dog there might be microchipping or a neuter involved, but there is no behavior assessment, no extended shelter time and rarely a chance that the owner is going to return the dog a few days later. RTO is ALWAYS a quicker, happy ending. RTO is not a number many shelters use to measure success, but if your dog gets lost wouldn’t you want to believe that getting him back home is part of the shelter’s responsibility as an animal welfare organization? 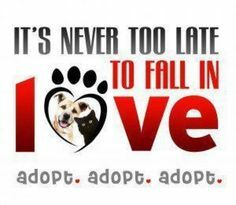 Wouldn’t you want to assume that a shelter’s first priority is to find the owner, not just get the dog out the shelter? My favorite phrase is, “Dogs don’t fall from the sky.” Not really just a phrase, a fact, right? Yes, in some areas strays are a prevalent reality. Yes, some people (very few) lose their dogs and don’t even try to find them. I have found quite a few dogs in my 45 years and not one has been a stray. Each one had a family desperately looking for them. Interesting that when good Samaritans find dogs they almost always make incredible attempts to find the dog’s owner, yet, shelters and rescues don’t? The irony… and the very sad reality that needs to change NOW. 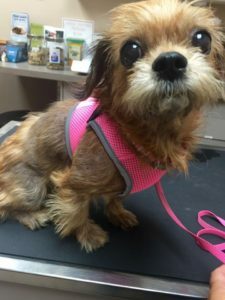 This entry was posted in Uncategorized and tagged animal welfare, dogs, lost dogs, rescue, RTO, shelters, Wisconsin on February 19, 2016 by sheltertails5839. Tails: 8 Years Later…I’m glad I Got Off the Couch! Last night I had the opportunity to speak to a classroom of vet tech students. The topic was puppy mills. I watched, along with the class, the infamous Oprah segment on puppy mills and euthanasia in shelters which first aired in 2008. I remember 2008 vividly because it was the year I walked into my first puppy mill auction. Oprah’s show aired only a month after. Back then, I was on the couch tears streaming down my face, screaming at the TV that it was “WAY worse” than what they were showing. When I was watching the movie and thinking through my presentation, it was the same. Eight years later and there are still 10,000 puppy mills. Eight years later and we haven’t closed down a single one? I know we have closed down a number of mills, but new ones open and we continue to battle an industry that is cruel and heartless and yet, still exists legally. As I explained last night, the movement has taken a different approach. Instead of only battling the mills, we are now focusing on the demand. 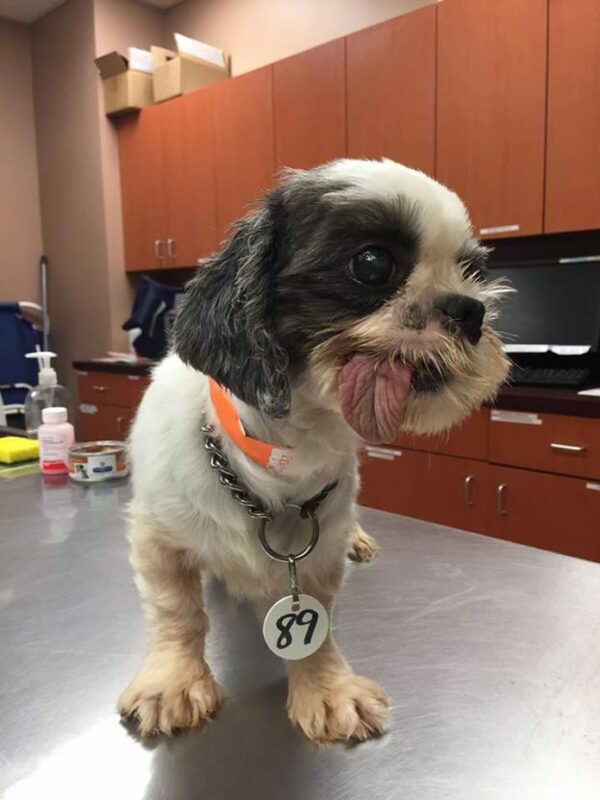 There are currently 126 ordinances in place among varying states, cities and counties that prohibit pet stores from selling dogs/puppies who come from mass breeding facilities. Today, in those pet stores, the dogs must come from rescues and shelters. That IS progress. I want to believe that MORE people are aware of the truth. I want to believe less people buy their puppies from pet stores or on-line. I can’t lie. I felt a bit defeated on my drive home. I mean nearly a decade later after the Oprah show and things felt painfully similar. However, on a personal level, I had a major realization. Eight years ago, I was sitting on my couch crying. I felt lost and unbelievably embarrassed to be a part of the human race who treated animals so poorly. Today, (AKA: last night) I was actually speaking to future veterinary professionals about puppy mills. Sure, I shed a few new tears, but most of my tears have become actions. I am involved on so many levels. My book is published and raising awareness. 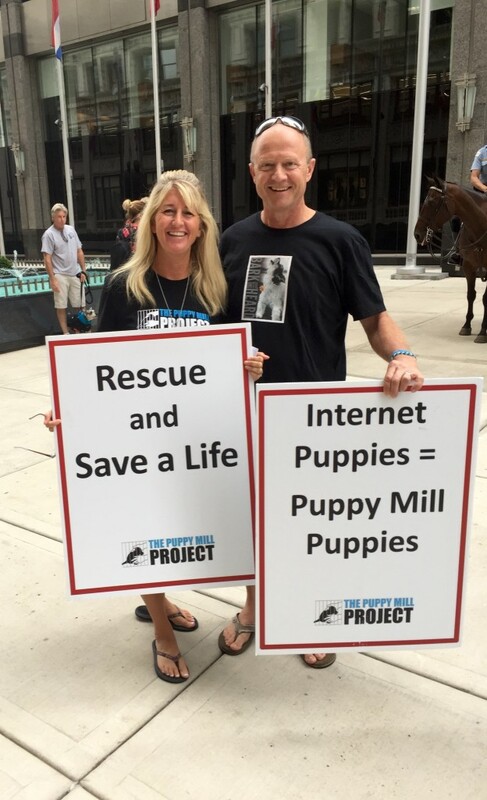 I attend events to educate people on puppy mills. I hold protest signs and shout truths. I have even made my way to TV to share my journey. I acknowledge these accomplishments because I want people to see that IF you are really passionate about something, it is up to YOU to get involved. Eight years ago, I was a meek, overly emotional person struggling to make sense of the horrors I saw. Today, I am committed to making a difference. And while there are moments where I feel change hasn’t come fast enough, I, personally, know by the emails I get and the people I meet, that I have made a difference a person at a time. YOU can make a difference. Whether it be puppy mills or shelter killing or even a non-animal cause, find what you believe should be better in this world, get involved and make a difference. Eight years have passed and if I know nothing else, I know I made use of them by following my heart and believing I could change things. I am grateful that I got off the couch and got involved. 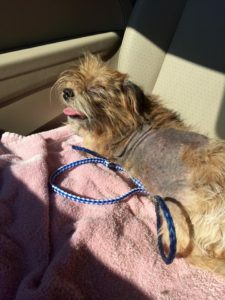 This entry was posted in Uncategorized and tagged animal welfare, oprah, puppy-mills, vet tech on February 3, 2016 by sheltertails5839. It is a new year and, often, people contemplate getting more involved with a charitable organization or, perhaps, donating to one. I thought this would be a great time to share MY OPINION on those issues concerning animal welfare organizations. 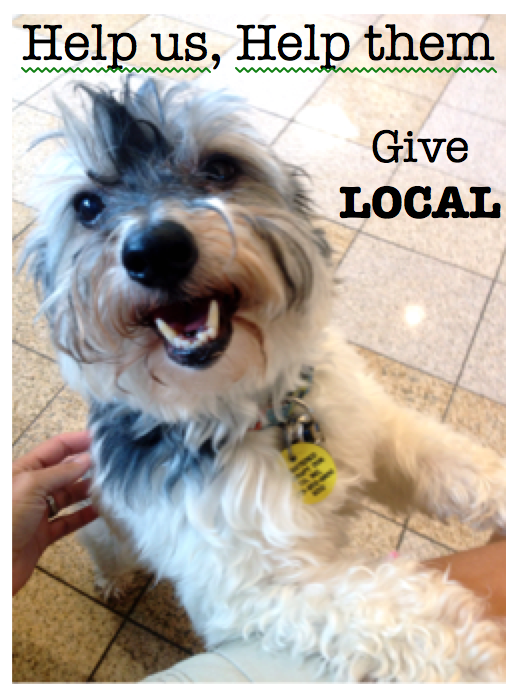 My first words are, “GIVE LOCALLY!” It is easy to be enamored by the large groups such as The Humane Society of the United States, ASPCA, and Best Friends Animal Society. Beyond the calendars and free address labels they send out, their brand is everywhere. How many of us have cried at the Sarah McLachlan commercial? They are big and glorious and appear to be saving all the animals. I would say that still rings true, however, in the last few weeks, I have seen the big guns, HSUS and Best Friends, lobby for legislation that I, and many others, including The No Kill Nation do NOT find to be in the best interests of the animals or their families. In Wisconsin, HSUS and Best Friends are both lobbying to shorten the stray hold for dogs from 7 to 4 days. Meaning that if your dog gets lost, you have 4 days to find him in a shelter before he is adopted out, transferred or killed. Shelters tend to want shorter stray holds because they can turn dogs over faster, instead of allowing dogs to take up cage space. However, if your dog gets lost, he could easily travel out of your initial search area and end up in a shelter counties away, and it could be days before you even think to call a shelter so far away. If you wait more than 4 days, your dog could be dead. 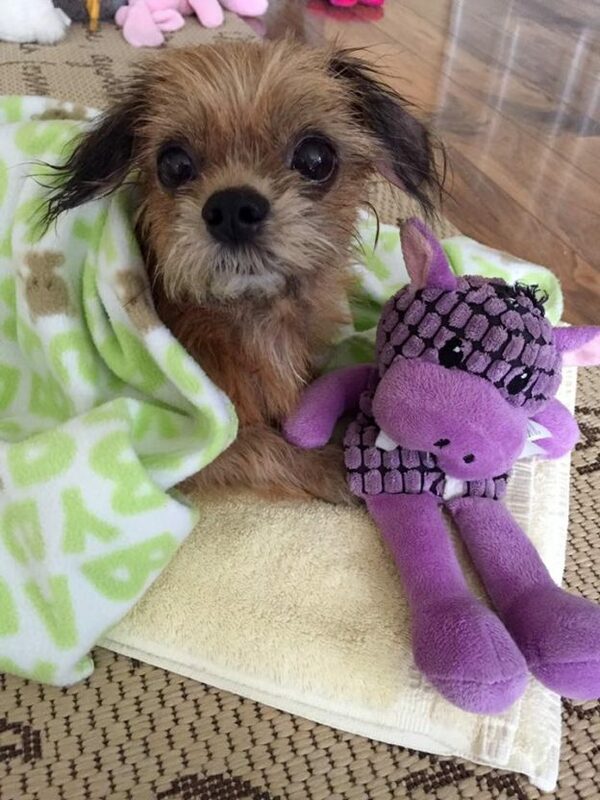 Best Friends and HSUS swear that they are out to save the most animals possible. I argue that they have lost touch with the day-to-day reality of rescue. If they really want a shortened stray hold then they should ALSO be lobbying for better return to owner programs. Most stray dogs don’t fall from the sky! Most stray dogs aren’t stray at all – they are simply lost. Lost dogs are the most overlooked issue in the shelter and rescue system. Instead of focusing on getting dogs BACK home, we focus on getting them into homes. Return to Owner (RTO) rates in most shelters are heartbreaking. Until recently, there were few laws to even require shelters to scan for microchips! There are ALL-volunteer groups popping up across the states called Lost Dogs WI, Lost Dogs IL, Lost Dogs FL, etc… They are all part of a group called Lost Dogs America. They are 100% committed to helping people reunite with their dogs. They are assisting with THOUSANDS of reunions every month. They are proving every single day that RTO matters. When groups like HSUS and Best Friends barge in with their expensive data and fancy calculations and not one ounce of day-to-day experience reuniting dogs and families, I, and others, have a hard time believing they have any real understanding of what is going to save “all the animals.” Not to mention having any respect or compassion for the human-animal bond. They are completely overlooking the desperate family longing to find their lost pet. So, I digressed a bit and picked a particular subject that is getting press right now. Let me venture away from one specific and generalize. If you want to get involved or if you want to donate money to save animals, I highly advise you to look locally and think small. 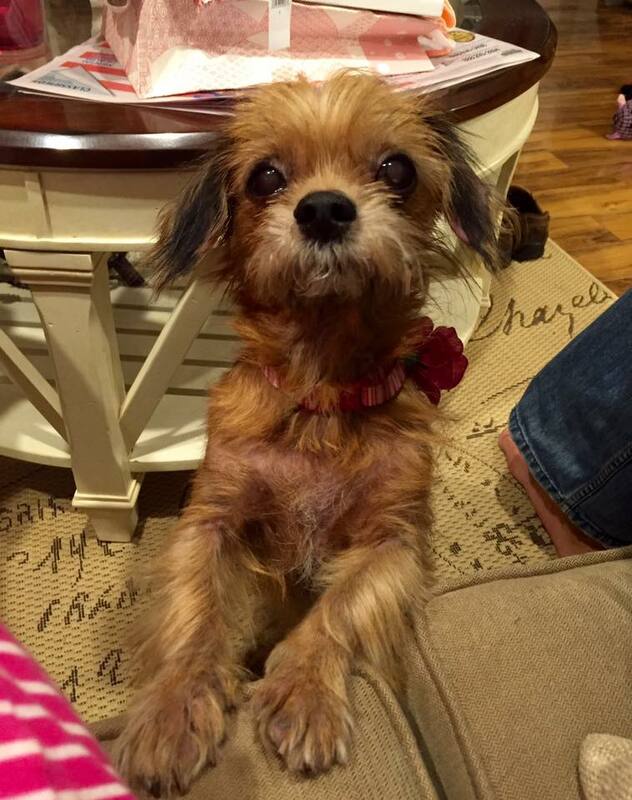 There are thousands of rescues and local, independent shelters throughout the United States. And, while they might not be saving THOUSANDS of animals each, each one of them is saving lives. Those are the places you want to research. If you do your homework, you will see that it is the smaller rescues and shelters who are giving 100% of YOUR money to the animals. No overhead, no free address labels – just dedicated volunteers saving 4 legged lives. Beyond the local rescues and shelters are the local individuals who are forever fighting for the cause. Between the fight we have going with the bad local rescue and the recent Winona County, MN protests against the approved Amish puppy mills, I have seen every day citizens stand up and fight with fury. During these battles, I contacted the big guys like HSUS and Best Friends. Their canned answers were nowhere near as passionate as the people I have met spending sleepless days and nights rallying to make a difference. Organizations tend to get too big, lose their focus, and forget about the day-to-day struggles. As an animal advocate, I have lost faith in the big organizations. 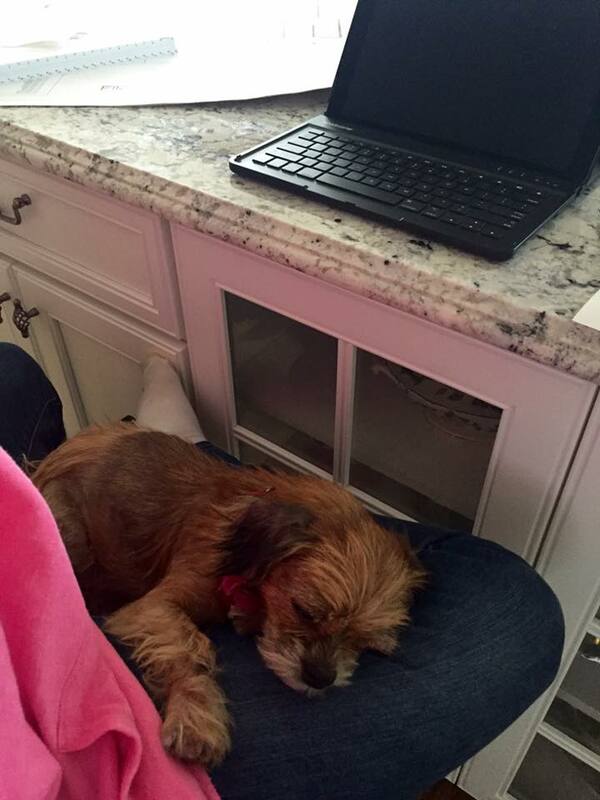 My time and money goes to the rescues and organizations I see working hard on a daily basis. The groups who are in the trenches treating sick dogs, organizing thousand mile transports, and physically holding protest signs. Take the time to decide what issue matters the most to YOU and what YOU think will improve animal welfare. Look hard at organizations and dig deep to find what their stance on issues are. You might be surprised at their beliefs and values. I would encourage you to take an hour and research where you want to spend your time and who you want to spend your money. Personally, I would rather see my $50 go directly towards the treatment of an injured dog, than 100 free calendars given to strangers. This entry was posted in Uncategorized and tagged animal welfare, Best Friends, Donate, HSUS, Return to Owner on January 22, 2016 by sheltertails5839. I spent the weekend at two festivals all about dogs. Both were fundraisers for animal welfare organizations, but the general public was invited and encouraged to bring their furry friends. I watched dogs and their families smile all weekend. Tails wagged as people introduced themselves and their furry companions. I saw dogs of all shapes, sizes and colors. I even saw a brown and white Newfie, a silver lab and an Ibizan hound – dogs I had never seen in person before. 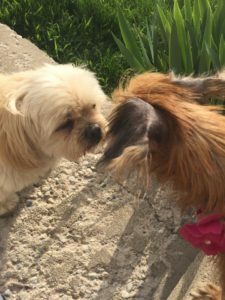 Big dogs, small dogs, barking dogs, shy dogs – I was surrounded by so many 4 legged creatures, I couldn’t help but feel joy. I don’t really know the last time I felt pure joy around a dog. I know that sounds crazy, coming from someone so passionate about dogs, but when you surround yourself with likeminded, overly passionate animal rescuers, you can forget the joy a dog can bring to your life. When you rescue dogs and fight for their welfare every day, you simply forget that dogs are amazing and fun and can make even the grouchiest person smile, because you are too overwhelmed by the horror they managed to survive. I don’t know the last time I looked into a dog’s eyes and felt happiness. Instead, I look and see their history, their scars. I see their past and I feel their pain. 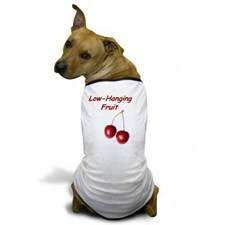 If I dig deep enough, I can recall the dogs I had growing up: Spunky, Lassie, Taffy, and Apples. 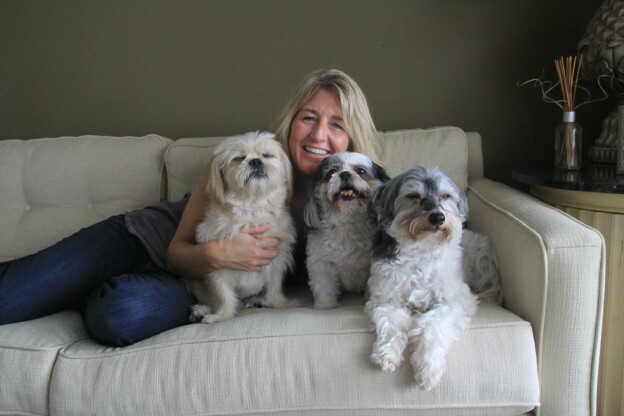 The days before I found myself entrenched in animal welfare, I was simply enamored by the unconditional love of a dog. There was nothing better than a dog – nothing. In Del Mar, CA there is this amazing dog beach. The very first time I went I was absolutely overcome with emotion. I sat on a giant rock and spent hours watching as dogs played in the surf and with each other. It is my heaven. To see dogs enjoying life, living free and easy. To see them loved by people. To see so many dogs happy and healthy. Today, as I look into my dogs’ eyes, I see Amish puppy mills, rusty cages, years of neglect. I see the dirty streets of Chicago. I feel a sense of panic and loss. I don’t ever see joy. It is not that I don’t love my dogs. Nothing could be further from the truth. I would die for them without question. What is true is that I have to come to love them because of their scars and not for the joy they bring me. I think I have failed them. It is one thing to show unconditional love, to remain patient and supportive as an abused dog heals and learns to trust, but it is another to allow that dog’s past to become his only identity. I admit, in many ways, I have done that. I do that. I have become so accustom to horrific stories, that I have overlooked the true beauty in dogs. I have allowed myself to forget the happiness they stir inside of us and the joy they bring to our lives. I needed last weekend. I needed to be surrounded by dogs and their people who simply love one another no strings or baggage attached. It is too easy to become cynical and jaded and hardened in animal rescue. I look at dogs and see a world of cruelty instead of a world of love. Last night, as I snuggled up to my dogs on the sofa, I let them be dogs and not sad stories. When I held them close and their tails softly wagged, I felt pure joy. This entry was posted in Uncategorized and tagged animal welfare, dogs, joy on September 2, 2015 by sheltertails5839. I have been driving a lot in the last week. Driving allows me to get in my head and really concoct some twisted ideas. Let me briefly describe varying incidents that contributed to my concoction. One day, while not driving, I found myself tuned into an older TV show, “Judging Amy.” Without going into unnecessary detail, a part of the show portrays the Department of Children and Family Services. A day later, I found myself in the Walmart parking lot watching as a police officer was called to the scene to investigate a dog locked in a hot car. The woman who called was frantic. She was getting water and trying to get the owner of the dog to give it to him. The officer was attempting to explain to the woman how unsafe it was to leave the dog in the car. I think that we have emerged as a nation who seeks to protect animals from humans and not vice versa. That said, organizations like Animal Control not only portray inconsistency with society’s goal, they have become a deterrent for accomplishing it. The Department of Ag walks into mass breeding facilities with the mindset of food inspection and not the goal of humane treatment. The two main animal governing agencies no longer support the ideals of the country. I think we need to change things completely. Let me insert a disclaimer here… I am not an expert on government agencies. I know little about how they are funded or how they are managed from a federal/state perspective. I think we can all estimate that they are a mess like the rest of this country, so we can assume that my ideas are just as feasible as what we have today. This is how I picture things changing… On a federal level we create, The Department of Domestic Animal Protective Services (DDAPS) On a federal level, we determine basic laws and regulations and make any necessary changes to the Animal Welfare Act. We take money from the Dept. of Ag budget to accomplish this. Currently, puppy-mill inspections are conducted under the Dept. of Ag. In my opinion, not only has it been ineffective, it is the wrong mindset. We are not trying to eat dogs, we are trying to protect them. Any monies designated for these types of inspections would now be going towards DDAPS. DDAPS would be the governing body of the state level DDAPS facilities. ANY city, county, or town who managed a municipal shelter would now use that funding to run DDAPS. There would NO longer be any animal controls. They would all be replaced by DDAPS. When I say replaced, I mean replaced because I, personally, I am really tired of random government employees becoming the directors of Animal Control facilities. DDAPS would be run by leaders in the animal welfare community, not the ex-manager of streets and sanitation. DDAPS employees and volunteers would be vetted in animal care. They would be people who are passionate about no kill and ending puppy-mills and starting TNR programs. They would NOT be people buying time to get government pensions. Let’s talk about the day to day functions and responsibilities of DDAPS. They would run no kill shelters. These would be open access shelters who also provide low-cost spay/neuter, low cost microchips and low cost vaccinations. They would offer adoptable animals to the public and work with local rescues on animals who require additional care or have specific needs. I emphasize local rescues because I also believe we need to get a better handle on shipping animals to other states. Yes, certain demographic areas have larger stray animal populations, but there are animals dying needlessly in almost every state in America. Shipping the animals around is not the answer. I believe, if run correctly, DDAPS would allow each state to better manage its own animal population. DDAPS facilities would also be responsible for community outreach. They would offer school programs to educate children on animal cruelty and how to properly care for pets. They would offer under-served areas the opportunity to provide for their pets by supplying leashes, bowls, food, etc. They would promote Return to Owner programs and provide resources to help lost dogs get home. If needed, they would have the power to step in and get the dog to the proper owner. In each DDAPS facility, there would be trained officers who would manage bite incidents. Anything having to do with illegal activity would be handled by local police, while the animals involved would be under the care of DDAPS. Rabid bats would go to the health department. DDAPS facilities would be managed and ran by both paid and unpaid staff. I truly believe that there is a HUGE population of people who would love to volunteer at the type of organization I am describing. I know I would. I long for the day someone hands me a checklist and an address for a puppy-mill and tells me to come back with an inspection report. I believe that there is a large population who would privately support organizations like this by donating towards specific programs such as community outreach or veterinary care. I think there are veterinarians who would do work at facilities like this pro bono or for little cost. People are tired of the way things are. People want to see things change for animals. People want to be involved in protecting them. People are tired of the current government agencies getting in the way of doing these things. The systems we have in place today are antiquated. They speak to days when people threw animals to the curb, when people thought most dogs were rabid, and when people didn’t understand TNR cats. Today we spend billions on our pets. Most people sleep with them in their beds. People fly with their pets, dine with their pets and treat them like companions. The tide has turned and it is time we re-create laws and governing bodies that uphold what we believe as a society. I am ready and 100% serious. Let’s do this! …and if you are presidential candidate reading this – make this the top of your agenda and you have my vote! 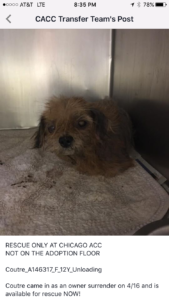 This entry was posted in Uncategorized and tagged animal control, animal welfare, government, puppy-mills on July 29, 2015 by sheltertails5839.